Super-Size That Telescope Order, Please! The gringa has previously posted about the significance of the Alpha Centauri system in man’s eternal search for the origins of life, the meaning of life and, perhaps, other life. Europe and Chile are partnering together in an effort to focus their astronomy and scientific efforts to search the planets in this star system to discover any planet’s potential for habitability. The Breakthrough Starshot civilian scientist program has modified the European Southern Observatory’s (ESO) telescope that is in Chile. Scientists and researchers are setting the stage for Starshot’s probe that will be transmitting images from Alpha Centauri. World renowned Stephen Hawking and billionaire Yuri Milner are the captains at the helm of this ambitious private endeavor. Dubbed the “Very Large Telescope” (VLT), the specialized instrument will use infra-red technology to observe planets so incredibly distant the telescope counterparts of ESO’s VLT have only produced very faint depictions in their images of the planets of the Alpha Centauri system. 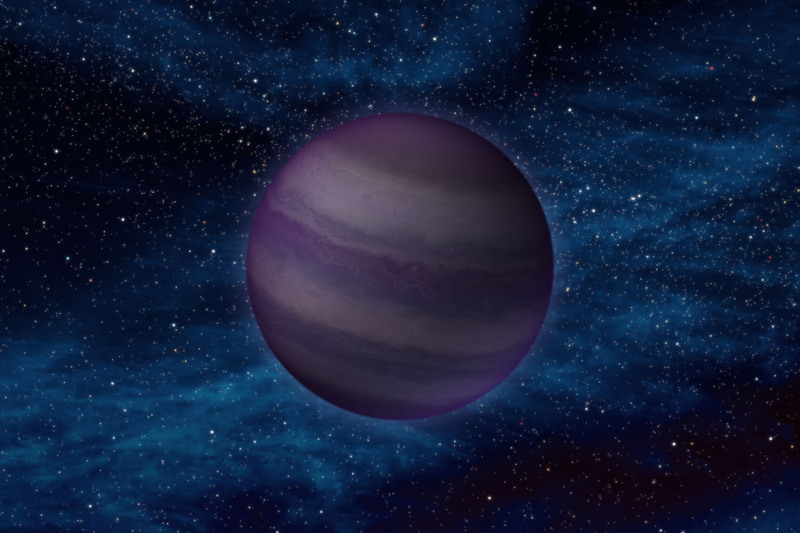 The improvements to the VLT will minimize the interference of surrounding bright starlight that diminishes the clarity of imaging of the planets. Scientists hope that these improvements will make VLT better designed to find and study the Earth-sized planet orbiting in a cosmic sweet spot, the Goldilocks zone, around Proxima Centauri in the Alpha Centauri system. An even larger telescope is slated for completion by ESO sometime in the next decade. It’s name, “Extremely Large Telescope” (ELT), may lack imagination, but the gringa doesn’t care so long as it does its job and does it well. This telescope will be committed to gathering data on the other exoplanets in Alpha Centauri. Although Chile is a hospitable host to this project, there are more than 16 other countries throughout Europe and South America working together toward ultimate success. But why are so many observatories located in countries of Earth’s southern hemisphere? Countries like Chile, Puerto Rico, and Peru? Remote locations with little industrial and urban development. High altitude deserts with clear, dry air practically year round for clear viewing. And if you would like to take a peek through Chile’s collection of enormous telescopes, take a trip to the Atacama Desert in the northern part of the country. In addition to the opportunity of a lifetime while gazing into the heavens through a 16 inch telescope, you can tour the Cerro Paranal Observatory and the SPACE Observatory in San Pedro. There are local archaeological sites to explore as well as geographical marvels like a high desert mesa filled with geysers. But if you can’t afford the money or the time for a Chilean astronomy expedition, no worries. There are so many observatories open to the public, surely you will find one near your own hometown. Wikipedia has a rather extensive list so, find your country of choice and see which observatory is nearest you and is open to the public. And, if you have an enjoyable adventure, drop the gringa a line! I’d love to share your experience! Posted on February 13, 2017 February 12, 2017 Categories Astronomy, Education, Galaxy, Homeschool, satellite, school, Science, Solar System, Space, technology, Uncategorized, UniverseTags Astronomy, chile, gringa, observatory, science, Star, telescope2 Comments on Super-Size That Telescope Order, Please! The gringa sees that the conspiracy theorists are at it again and now they are dragging our wonderful little Moon into their tales of mayhem and destruction. So, dear readers, mark your calendars for November 14. It will either be the greatest Moon-viewing experience of your life or the moment you decide to run for your lives and head for the hills. Conspiracy theorist gong clanging should reach epic decibel levels the closer we get to what scientists commonly call a “supermoon” event. Conspiracy theorists are making sure their innertubes are patched and lifejackets are in order as they are expecting horrific tidal waves and earth-splitting earthquakes. The gringa says, “Are you guys out of your minds or is there some real science to back up your fears?” I mean, living near the Gulf of Mexico the gringa is well-stocked with innertubes and lifejackets but considering the season, they have been relegated to the bottom storage tub with boxes of Halloween, Thanksgiving and Christmas decorations stacked on top in the most convenient order of when I will need them. I would much rather not go to the trouble of rearranging my convenient storage closet system unless the prospect of danger and possible death is real. Gringa question number one: What the heck is a supermoon? It is technically called a perigee-syzygy. Perigee means: the point in the moon’s orbit when it is nearest to the earth. Syzygy means: when two connected things line up in perfect opposition. The gringa is torn whether to refer to the super-cool term “supermoon” or to come up with my own version of the scientific moniker such as “perzog”. I’m sticking with perzog cuz that’s how I roll. The term supermoon was coined in 1979 by astronomer Richard Nolle. The gringa is the first, however, to use perzog. So, back to the question of what a perzog is. Every now and then the time is right for a full moon to occur at the exact time it reaches its closest approach to Earth. Remember, orbits are not perfect circles but, rather, elliptical, or egg-shaped or oval. At some point a planetary object will be closer to its neighbor than at other times. The last time perzog happened on the scale expected in November was in 1948. It won’t happen again until 2034. Astronomers have our current perzog showing up next month. Since worldwide destruction didn’t happen in 1948, the gringa feels pretty confident we should all be just fine. But, just to be on the safe side, I did a little checking on any reports of weather related catastrophes immediately following the perzog of January 26, 1948, paying particular attention to coastal cities and regions. Seeing as how the 5th Winter Olympic games opened in Switzerland without a hiccup on January 30, 1948 and the 36th annual Men & Women’s Australian Championships in tennis went off without a hitch, the gringa’s convinced that the perzog of 1948 was no big deal, other than being able to view a spectacular Moon. If there was any imminent disaster it was of political consequence and not weather related. Four days after the 1948 perzog, Mahatma Gandhi was assassinated. Now, the gringa is more likely to believe that mess and mayhem would come from human created disasters rather than massive tidal waves if the Moon is involved. Is there any increased emergency room activity during full moon events or is this simply an urban legend? The human body is 75% water. If the Moon is powerful enough to push and pull the waters of the ocean, might a similar affect agitate the heck out of a human who is really nothing more than a bag of water? The most interesting medical tidbit to the gringa is that studies produced in 2004 conclude that there is no correlation to the full moon and seizures. The gringa has no excuse for bad behavior on a monthly basis. Despite anecdotal affirmations by ER doctors and nurses that full moons mean a busy night, the data simply doesn’t support their beliefs. As the perzog shines 30% brighter than ever (at least since 1948), reaching its full glory around midnight between November 13 & 14, coastal dwelling conspiracy theorists will be strapping themselves into their rescue rafts and those living near fault lines will be donning their helmets and hunkering down in doorways awaiting catastrophic earthquakes. They expect tidal forces to reach a zenith that will put an extreme strain on low and high tides worldwide, possibly causing deadly tsunamis. As the Earth’s oceans are trapped in a massive tug of war between the gravitational pulls of the Earth and the Moon, conspiracy theorists propose that the Earth’s crust could very well snap at the strain. California could be lopped off at the San Andreas fault-line with its westernmost extremity falling into the Pacific. Right? Conspiracy theorists point to the lesser supermoon event of March 19, 2011 as the cause for a Japanese earthquake, resulting tsunami and 5 ships that ran aground in the Solent strait between the U.K.’s mainland and the Isle of Wight. Interestingly enough, the gringa did find two British news reports attributing the groundings to lower than normal water conditions due to the lunar event’s affect on tidal conditions. Maybe there could be some truth to this after all. The British Coastguard, after all, expected extremely low tide conditions because of the lesser supermoon. They were courageous enough to admit that they fell down on the job of managing shipping lane traffic on a new temporary schedule that would account for a change in expected tidal conditions. But what about the Japanese earthquake and tsunami? Astronomy experts said that it was just silly to blame those terrible events on the Moon. Seeing as how those tragedies happened a week earlier than the lunar event, the perzog of 2011 had nothing to do with the preceding disasters in Japan. The tsunami was caused not by lunar activity but by the largest fault slip ever recorded in modern history. Clay was to blame, not the moon. The Japanese tectonic plates are lined with clay. The plates are always moving. As they move small portions of clay smear along the area of movement. Natural ground water seepage will moisten the clay. The event of Japan’s massive earthquake was a recipe of water and clay and timing. The plates slipped an historic 5 feet, a massive distance for a tectonic plate. This was the trigger for the tsunami. So, after a close look at real science and statistics, the gringa is going to enjoy the pleasure of an amazing Moon. While conspiracy theorists miss out on all the fun, cowering in fear, the gringa will be moon-gazing without a backache from rearranging the storage closet or tell-tale distractions wondering if an axe murderer may attack me on my front stoop at midnight, inspired by the super-full-supermoon. I hope my dear readers will enjoy the coming perzog as well. If you do, just imagine, we will all be doing the same thing at the same time if we happen to be in the same time zone! Cool.